Are you looking for reliable and professional locksmith company that sells, installs and repairs Yale locks and other security products in Chicago, IL? We are a local provider of residential and commercial locksmith services throughout Chicago Illinois. We offer Yale locks and other security products installation, repair and replacement services 24 hours in any case of emergency. Our technicians are licensed, bonded and insured, and always ready to provide you fast and professional locksmith services anywhere in Chicago area. Being one of the oldest lock companies in the world, Yale has established itself as one of the best security solutions company. For over a century, Yale has been serving its customers in the most satisfactory manner. Yale locks Became a subsidiary of ASSA ABLOY group only recently in 2000 and has become a world leader for locking solutions ever since then. With innovation and imagination in the company’s roots, their products have always been a step ahead in bringing you the best locks and related products. The products are of premium quality and possess guaranteed state of the art functionality. 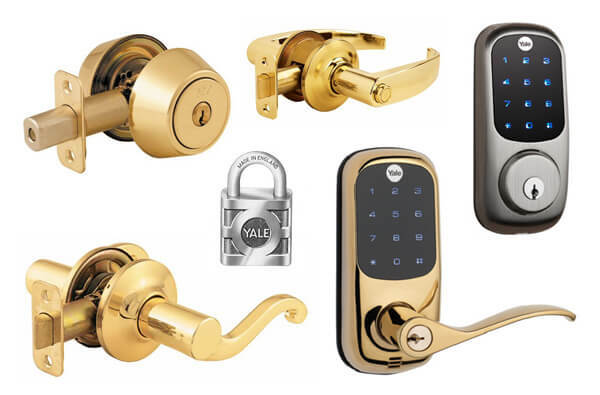 Yale has certainly established itself as “the world’s favorite lock” due to its commitment to unique yet effective designs for the locking solutions. The products guarantee maximum strength and are resistant to corrosion. The product portfolio includes both the digital and mechanical locks. Our digital products include lockers and saves as well as digital door locks. Mechanical locks include both the traditional and modern designs. You don’t have to go through the hassle of keeping keys on you with the innovative keyless technology.